In his latest release, South African artist Yannick Ilunga continues his work in the “noirwave” genre of his own creation under the moniker Petite Noir, a blend of genres as eclectic as it is exciting and fresh. La Maison Noir, or The Black House for the English-inclined, is Ilunga’s second EP under the name Petite Noir and as such is really more of a continuation of the sound he’s been developing since 2015’s King of Anxiety, genre fusion encompassing American styles of indie pop and post-punk as well as South African Kwaito. 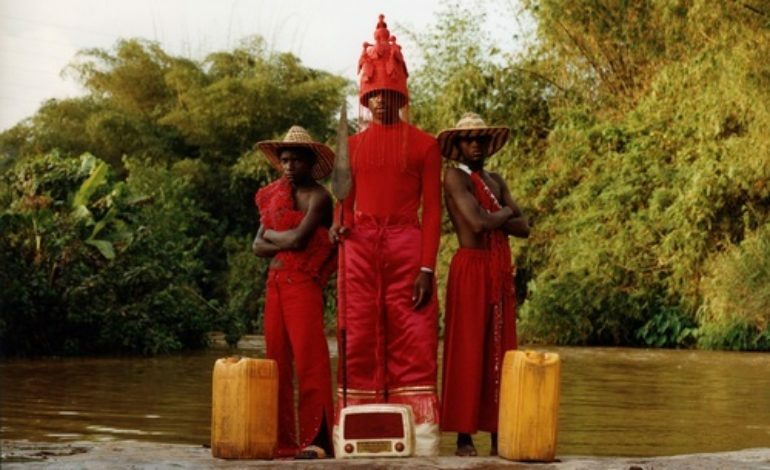 The music of Petite Noir is built on the back of history, as opening track “Blame Fire” even focuses on Ilunga’s family leaving the Congo, and the blending of genres only speaks to this aspect of the music. With lyrics concerning dissatisfaction with life, striving for success and believing in one’s self and one’s own message, Ilunga has crafted a set of songs both upbeat and emotionally inspiring. Although most of the lyrics match the songs perfectly, some of Ilunga’s choices in terms of refrains and vocal melodies prove questionable. “F.F.Y.F. (POW)” includes a continuous stream of “pow, pow, pows” throughout the song, which is catchy to the ear but when one actually pays attention to the fact that it sounds like kids shooting finger guns at each other, it verges on silliness in a way that seems unintended. “Blame Fire” works well as a line and a song title, but leaves something wanting as a refrain to structure your song around. Other than those few questionable choices, the music of La Maison Noir is versatile and compelling, which can go from pulsing synth to sonorous guitar and back again. The addition of Danny Brown and Saul Williams on “Beach” and “Blowing up the Congo,” respectively, adds a hip-hop flair that lead those songs in becoming highlights of the EP. Danny Brown offers a particularly, uh, sober-sounding and reflective feature here and Saul Williams essentially summarizes the themes of the EP in an excellent spoken-word. If there’s any truly major critique here it is that Petite Noir’s 2018 work proves less strong than his 2015 debut album La Vie Est Belle, a more well-rounded effort overall. This does not invalidate the music of La Maison Noir, but as a continuation of the noirwave sound, it lacks the propulsion of previous efforts. Still, it leaves room open for another full effort on Ilunga’s part.